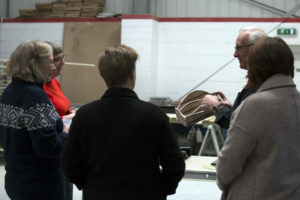 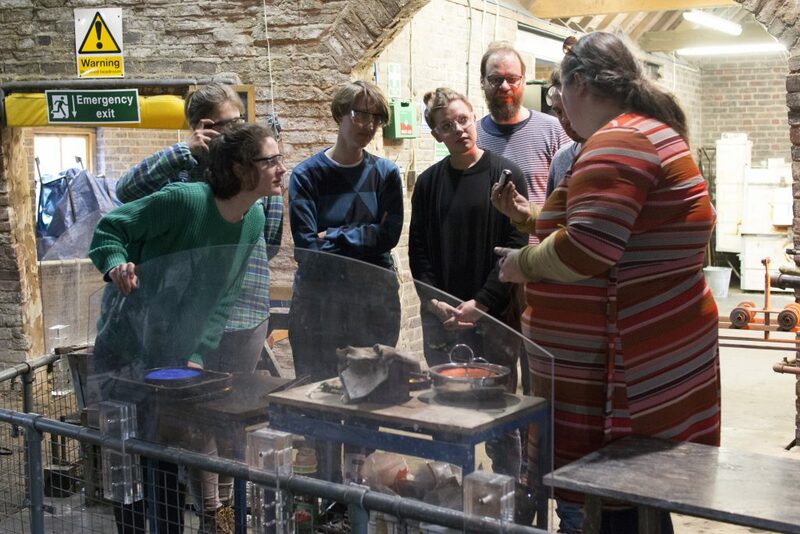 This was our second workshop designed to give practising artists, designers and creative makers a rare opportunity to get hands on experience of hot and cold glass-working techniques and processes, alongside technical information for a broad introduction to the possibilities, and limitations, of this versatile material. 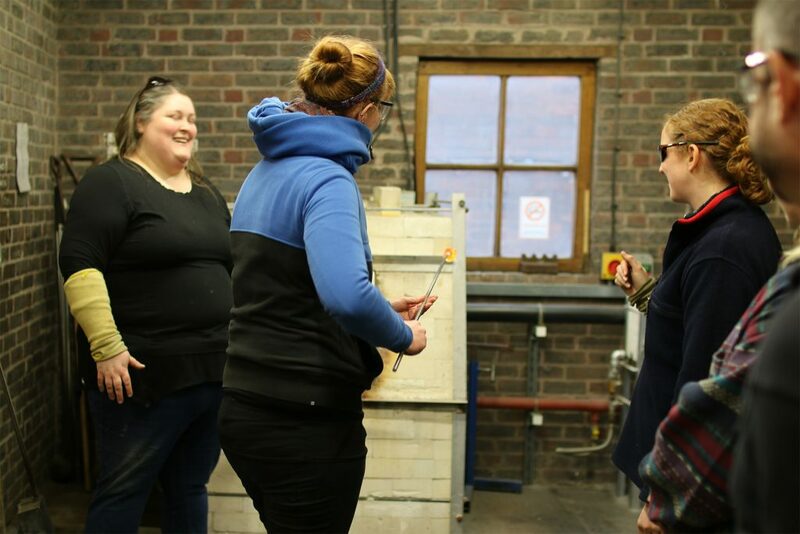 We covered everything from cutting, gluing and cold-working glass to the basic principles of hot working processes including blowing and casting. 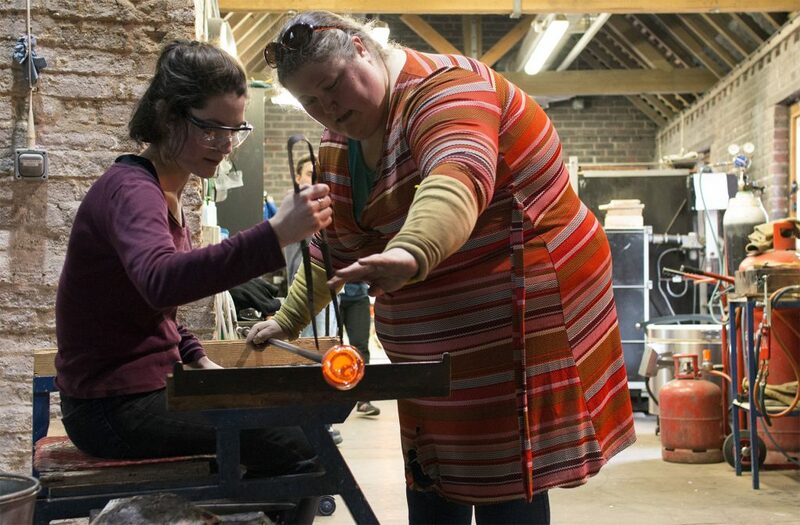 Again based at the Red House Glass Cone, a historic facility at the centre of the Stourbridge Glass Quarter. 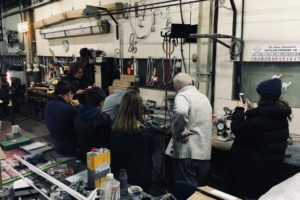 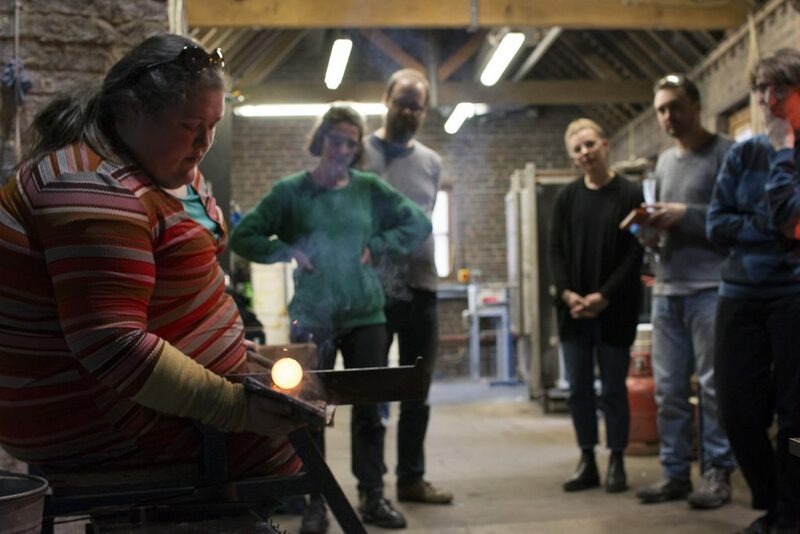 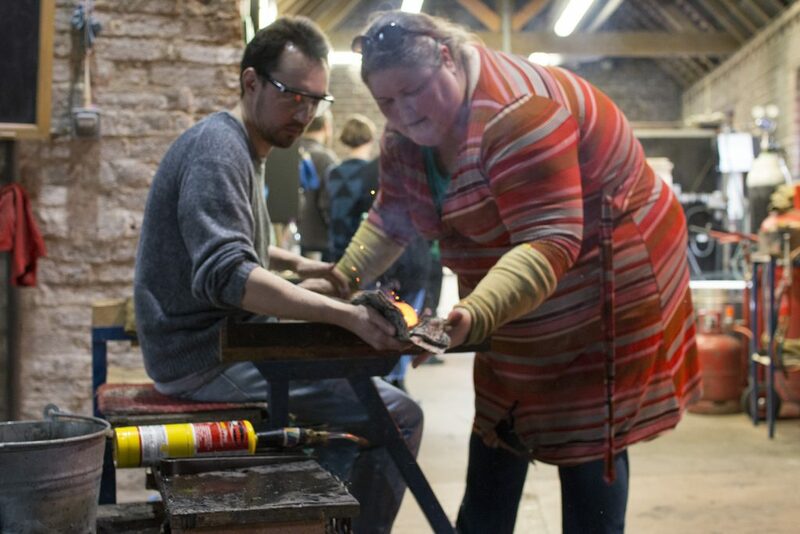 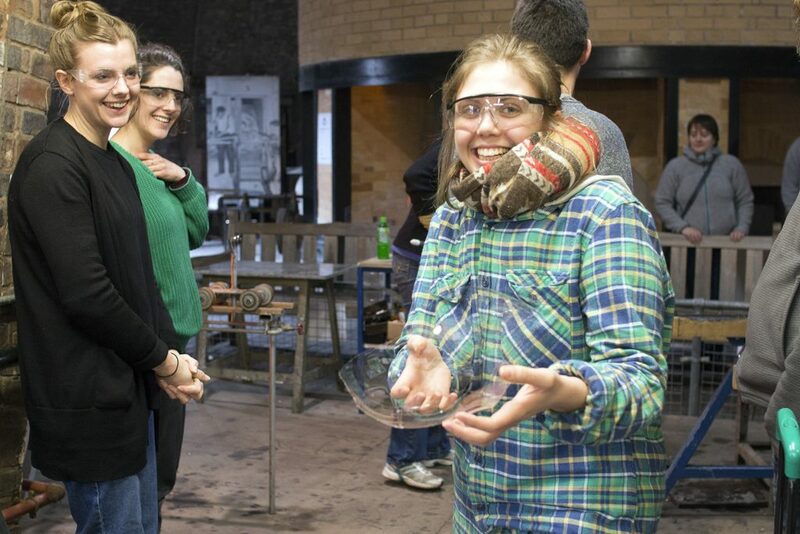 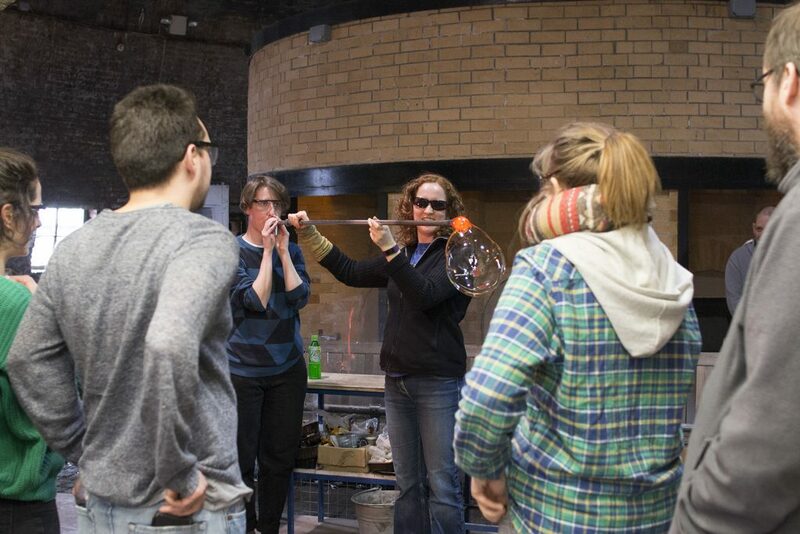 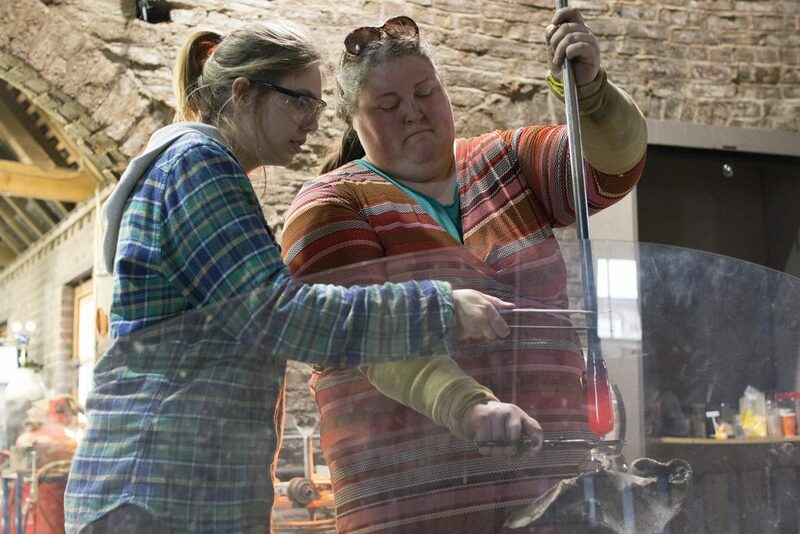 The day concluded with time in the hot glass studio where attendees were able to try blowing glass first hand.